Traina Design won best of show for its unique “Deadlines” self-promotion campaign at this year’s ADDY awards, the San Diego advertising community’s top recognition event. 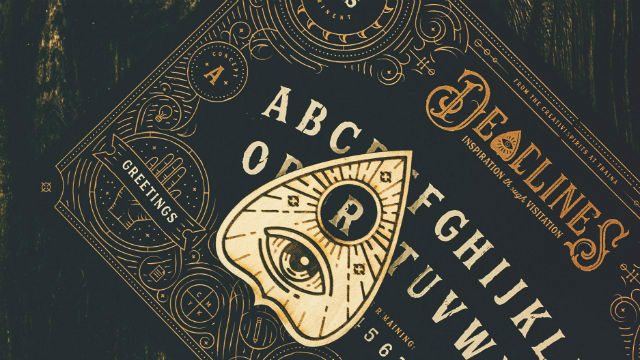 The “Deadlines” campaign is an ouija-style game board that can be purchased on the branding agency’s website. SDX presented 16 gold, 34 silver and 36 bronze ADDY awards to 24 companies in 41 professional advertising, digital and graphic design categories, culled from 201 entries. In addition, student awards included 3 gold, 3 silver and 5 bronze. The annual San Diego American Advertising Awards show was held held March 16 at the Museum of Photographic Arts in Balboa Park. Mohammed Labban, a student at the NewSchool of Design & Architecture, won best of show in the student category for his project for Meshuggah Shack. A special judges award was presented to Gumview Creative for “Unexpected Rewards,” a project conducted on behalf of Practicing Excellence. Bronze and silver award winners included United Way of San Diego, The Color Bar, Salk Institute for Biological Studies, Paradeigm, Pacific, Neyenesch Printers, MJD, Mindgruve, Ignyte, i.d.e.a., Gut Branding, Gumview Creative, Engage Creative Group, Elevated Internet Marketing and Eat Drink Sleep. Fox Sports San Diego announced that all 162 regular season San Diego Padres games during 2018 will be televised in English on either Fox Sports San Diego, FS1 or the Fox network. Games produced by Fox Sports San Diego also will be available from the Fox Sports GO app on mobile, tablet and connected devices. All regular season home games will be televised in Spanish on Fox Deportes San Diego. The 2018 season begins Thursday, March 29, with the Padres’ season opener against the Milwaukee Brewers. The broadcast will begin at 11:30 a.m. with a 90-minute “Padres Live” pregame show leading into the game. The broadcast will conclude with a 30-minute “Padres Live” postgame show. Returning for announcing duties will include Dan Orsillo for play-by-play and former Padres pitcher Mark Grant in the role of analyst. Mike Pomeranz, Mark Sweeney, Tony Gwynn, Jr. and Bob Scanlan will round out the Fox Sports San Diego broadcast team. Returning to the booth for Fox Deportes San Diego telecasts will be Eduardo Ortega, the Spanish-language voice of the Padres who will be celebrating his 32nd season with the club. Ortega will be joined by former Padres catcher Carlos Hernandez. The 91X “Moug Show” team. 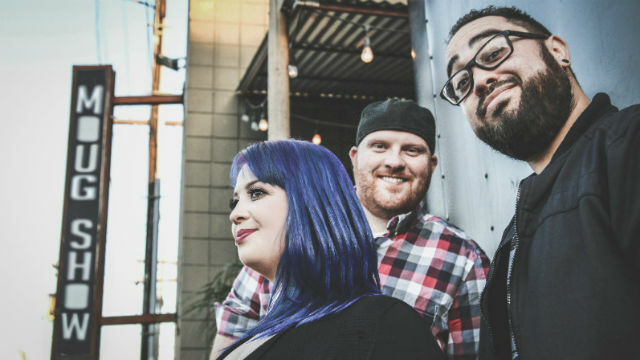 XETRA 91.1-FM, owned by Local Media San Diego, has launched a new 5 a.m.-10 a.m. morning weekday show called “The Moug Show,” featuring John Moug, Danielle Stuht and Jared Dey. Moug and Dey were previously at KLUC-FM in Las Vegas. Stuht has worked at 91X since 2016 as morning show producer. 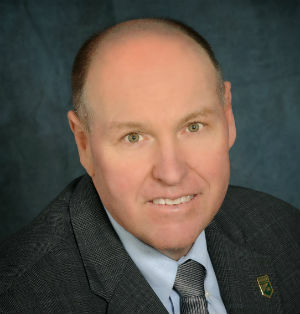 The previous morning show on 91X featured Tommy Hough, who left the station to run for San Diego City Council in District 6. KSWB-TV/Fox 5 San Diego announced that TV ratings authority A.C. Nielsen Co. reports its weekday Fox 5 Morning News show ranked number one in the San Diego market among adults aged 18-49 and 25-54 during the February 2018 sweeps period. The station also said its 6 a.m.-to-7 a.m. hour drew the most viewers aged 18 and above, plus its 5 a.m.-to-6 a.m. hour drew the most viewers aged 24-to-54. It was the third consecutive February sweeps period with a number-one ranking among adult viewers, the station said. “Our morning news team continues to resonate with viewers, and our success for three consecutive February sweep periods has come from our ability to deliver quality content while engaging with users across all platforms,” said Rich Goldner, KSWB vice president and news director.